Want that Legendary skin? Want all those other awesome benefits that can be bought in League of Legends? This collection offers Pre-paid RP Cards all to increase your entertainment! Buy it cheaper and use it exactly the same as everyone else! Skill and tactics may bring you glory, but only RP will bring you the looks that would accommodate the said skill! 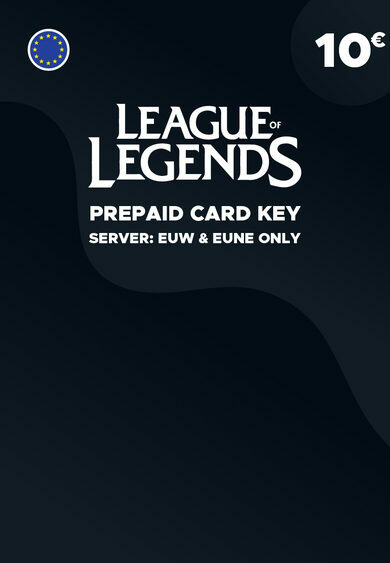 Don’t hesitate any longer, the offers on League of Legends RP cards are truly awesome here! Keep in mind that League of Legends RP is a premium currency which is only usable on League of Legends in-game Store! Riot Points cannot be earned by simply grinding your way to the top. While League of Legends is a free-to-play MOBA, the game practices in-game transactions, and if you enjoy the game, sooner or later you’ll want to look unique and awesome! Don’t wait any longer, buy the League of Legends RP card and get back to battle all anew!